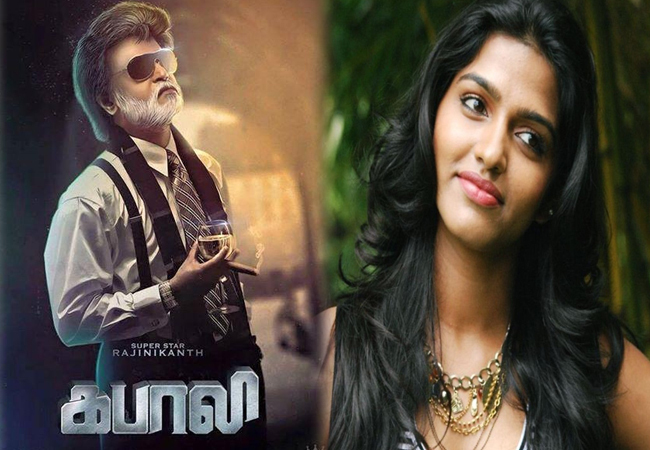 We are aware that Paradesi actress Dhansikaa has been roped in for an crucial character in the upcoming Rajinikanth starrer Kabali film. Now here is the update that Dhansikaa has joined the sets of Kabali film at ECR Studios. Dhansikaa will be seen playing the character of an tom-boyish daughter of Rajinikanth in this commercial action thriller. Filmmakers to picturise couple of schedules in Hong Kong and Malaysia from the next month. Currently shoot is happening in Chennai. Pa Ranjith is the director of the film and Kalaipuli S Thanu is producing the film. Write & Share about "Dhansikaa's role in Rajini's Kabali | Kabali Tamil Movie News | Cinema Profile" !